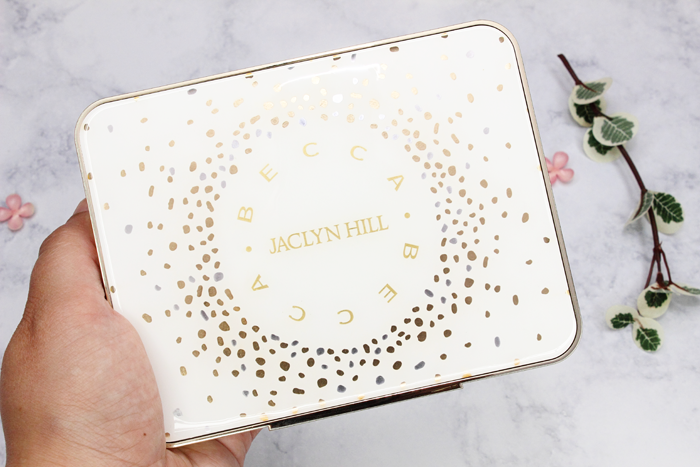 Last year I resisted the urge to splurge on the Becca x Jaclyn Hill Champagne Pop. I really wanted it, but I was hoping to pick it up in person. My local Sephora didn’t even carry Becca products back then. I was hoping to see it in person when I went to New Jersey, but of course they were sold out. I had every chance to order online, but held back. And boy am I glad I did because this collection is so much nicer! The packaging is super pretty! It’s not the easiest product to photograph because it’s so shiny and the inside is all mirror. I’m actually pretty bummed about it though because it’s easily one of the prettiest items I’ve purchased in a while. I really wanted that to shine through in my photos. I tried? 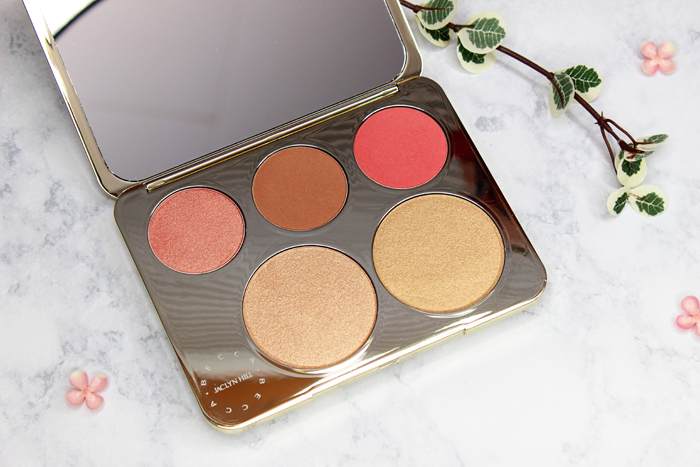 The Becca x Jaclyn Hill Champagne Collection Face Palette contains 3 blushes in Rose Spritz, Amaretto and Pamplemousse and 2 highlighters in Champagne Pop and Prosecco Pop. They’re all very pigmented. In fact the first shade I used was Pamplemousse and I had to use a very light hand. It’s almost too easy to get carried away with this beauty. 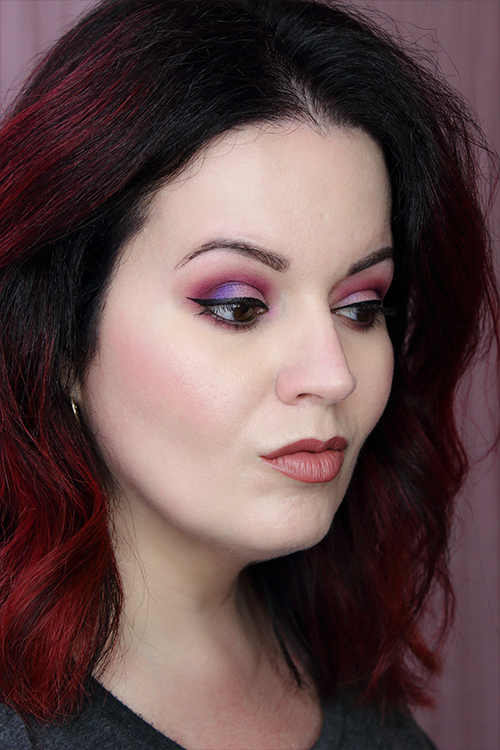 I usually really pack on the color so that it shows up in my photos, but with this shade I was afraid of going overboard. 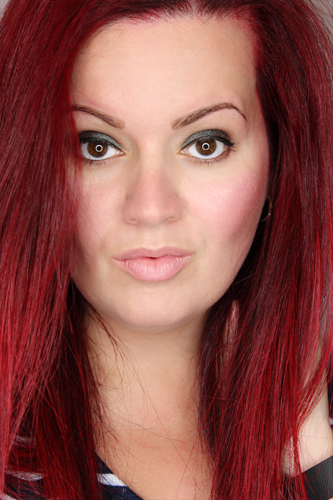 I may have repeatedly whispered ‘Please don’t make me look like a clown…’ while applying it hah! But all jokes aside it did apply and blend beautifully. I’ll definitely post more looks of me using this gorgeous palette later on. 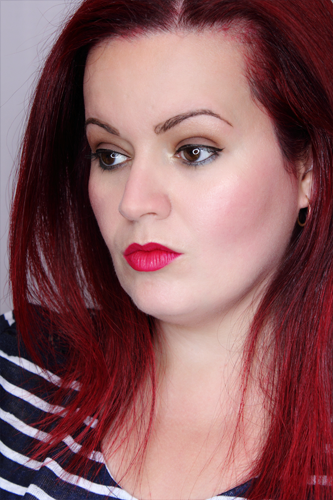 But in the meantime you can see Pamplemousse and Champagne Pop in action below. So funny story! I was supposed to post my fancy new Becca Champagne Collection Face Palette today, but when I went to make up my face I reached for all It Cosmetics products. 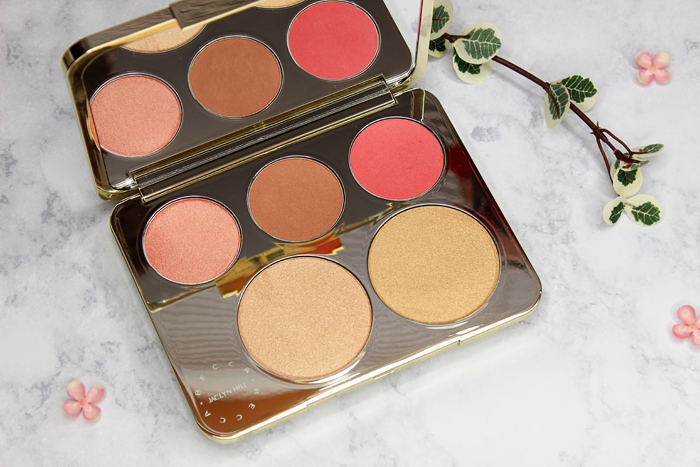 I ended up highlighting with my new favorite You Sculpted Contour Palette. So that review will have to wait until next week because there was no way I was wiping away this magic only to start all over again. I guess the heart wants what it wants, eh? 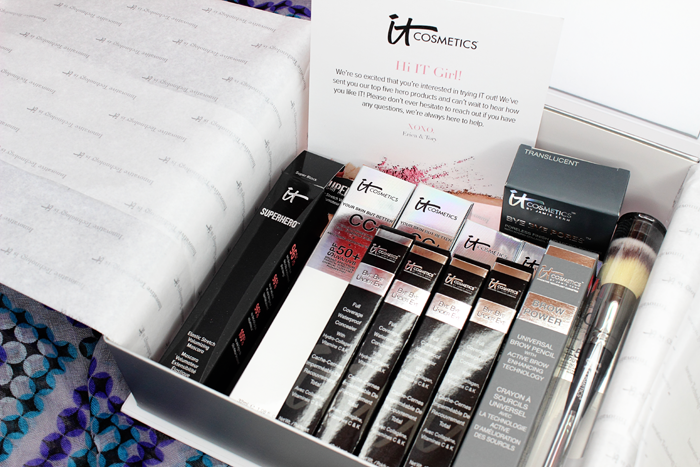 About 2 months ago the wonderful people of It Cosmetics sent me this box full of goodies. I’ve been testing out the products since I received them. I’ve already reviewed the Superhero Mascara. Next up is the Your Skin But Better CC Cream. And let me tell you, the name is fitting! 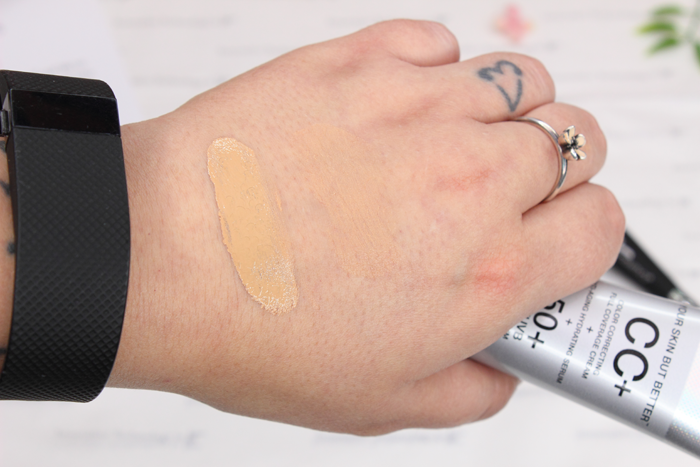 This is a full coverage color correcting cream with anti-aging serum and SPF 50! It’s a little on the thick side, but not so thick that it doesn’t blend out easily. 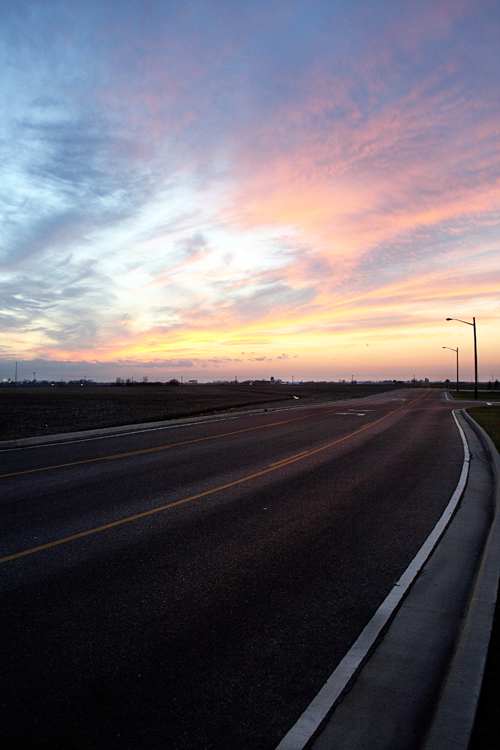 They say a little goes a long way and they’re so not kidding. The first few times I used it I got a little too carried away with the pump. Now I start off with like a half of a pump on the back of my hand and pump a bit more if needed. I applied this with my BeautyBlender and it applied beautifully! I was able to easily build up in areas where I needed more coverage. I did notice a subtle citrus scent, but it doesn’t linger. 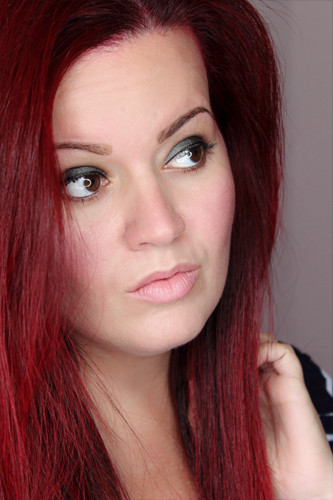 The coverage is pretty darn great and right up there with my go-to foundation. I’m not a fan of BB or CC creams. Most look pretty cakey on my skin or just didn’t sit right. 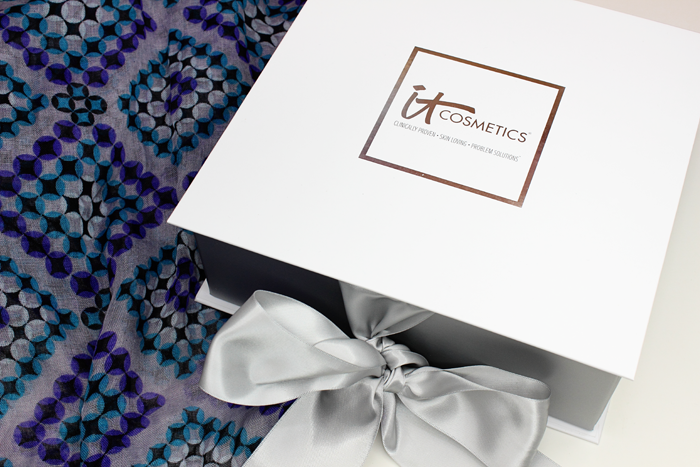 The It Cosmetics Your Skin But Better CC Cream is the real deal. The hype is real! Usually in the Summer I switch out my foundation with my favorite tinted moisturizer, but I’ll be switching to this CC Cream this Summer. 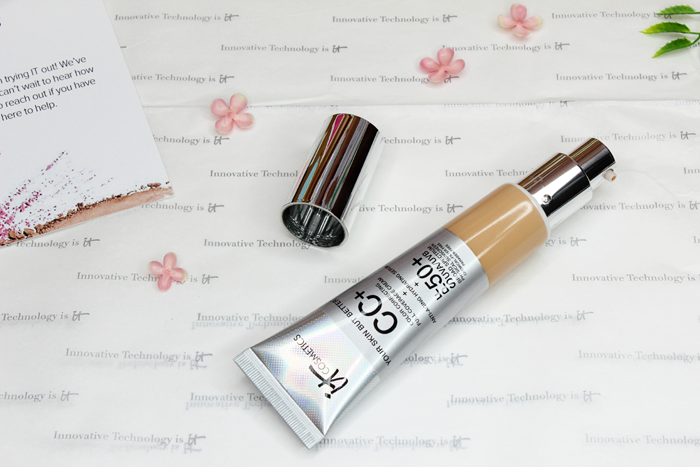 It contains more SPF along with anti-aging serum and it has much better coverage. All while feeling like I’m not even wearing any makeup! 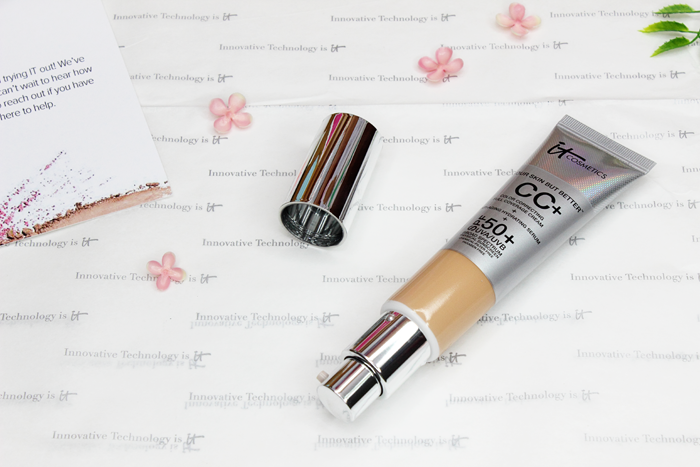 This wonderful CC Cream comes in 5 shades – Fair, Light, Medium, Tan and Rich. 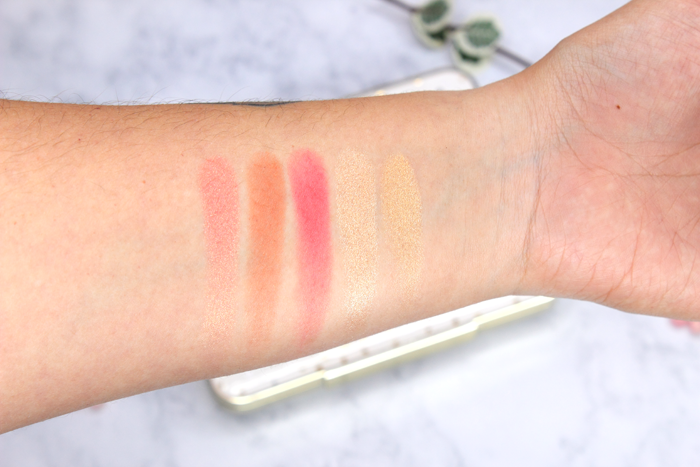 In the swatches shown here I am wearing the shade Light. I can post swatches of the other shades if you’d like to see them. Just let me know in the comments. 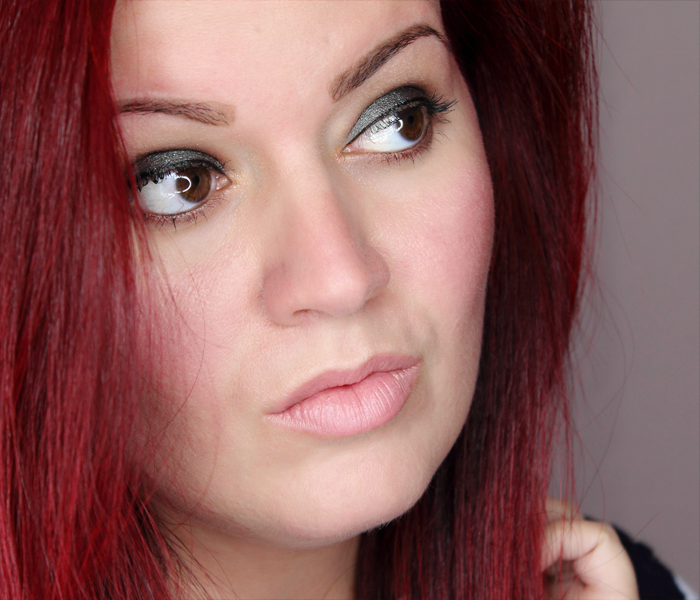 You can see this CC Cream in action below. I’ve even posted a close-up this time. Do you wear CC Cream? Do you have a favorite? Share in the comments!